You know what, I studied in Tomar. I had been living there for a few years, enough to attach myself to a sustainable region, and I wanted to show you a monument underrated. 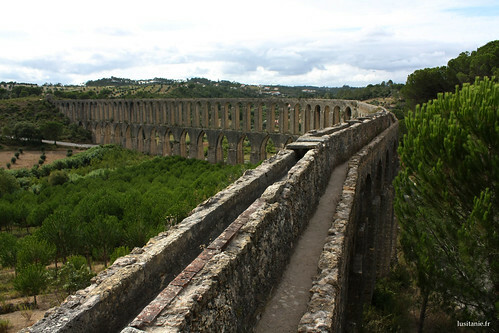 This city, famous for its “Convento de Cristo” – World Heritage Site by UNESCO -, has therefore another architectural marvel, which is : the Aqueduct of Pegões, who brought water to the Convent . 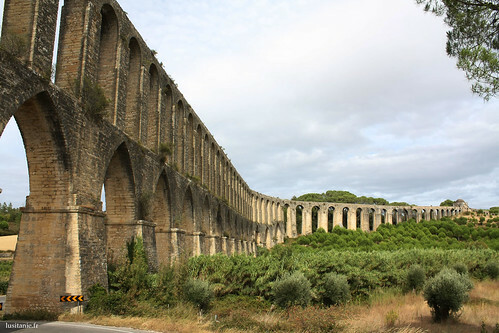 This Aqueduct is not Roman. It’s not as old as the Pont du Gard! 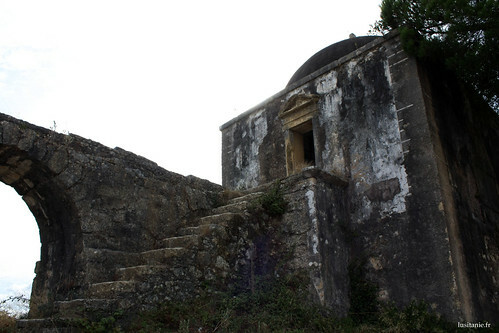 Construction work had been started in 1593, under the reign of King Dom Filipe I (Filipe IV of Spain), over 400 years now. In these times, the Iberian Peninsula was united under one king. The work begun with the official architect of the kingdom, Filipe Terzio, and had been completed in 1614 by Pedro Fernandez Torres. 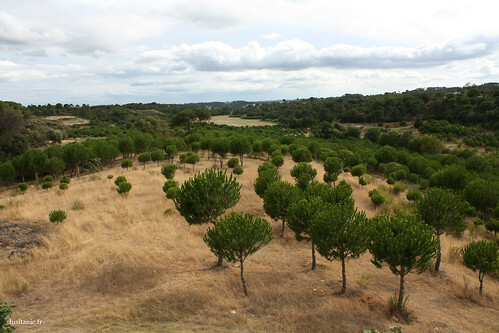 Built to serve water to the Convent of Christ, it captures its water from four different sources, starting in Pego (Carregueiros) community that gives it its name. 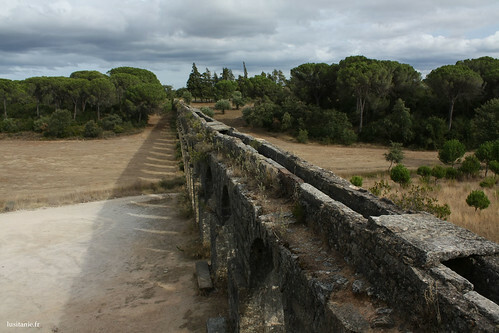 The Aqueduct ends 6 km away, in the “Mata Nacional dos Sete Montes” (literally “national wood of seven hills”) a beautiful city park, next to the convent. It had been extended in 1619 into the convent itself, still the Cloister of Dom João III (John III). 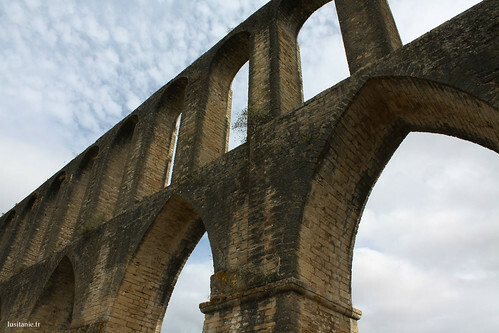 Made of 180 arches, 58 arcs at the most elevated part (30 meters height on Vale da Ribeira dos Pegões), the Aqueduct has been a national monument since 1910. 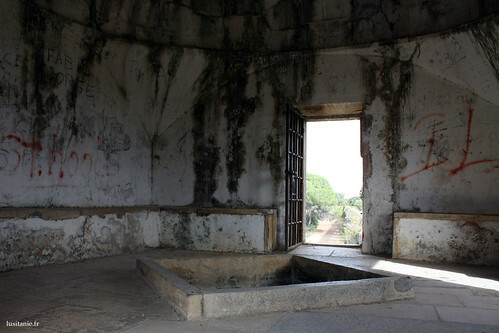 It’s a little known monument, and therefore very little visited, totally free access, empty of tourists. 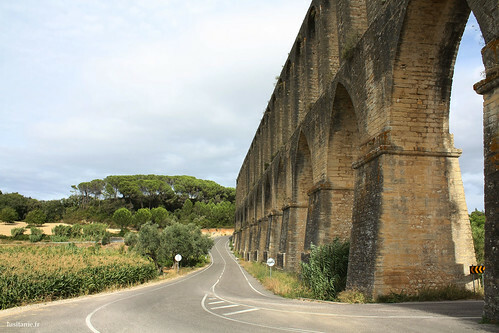 Not too much a problem as long as the aqueduct is well preserved, like it is now. So it’s still a shame that the Portuguese, and more so foreigners who visit Portugal do not know many of the finest works of art that exist in the national territory. However, it is true, there is absolutely no security: we can freely walk on the top of it, and freely falling from above! In case of vertigo, it’s best just to walk down along the road. For others, going on the top the scenery is worth seeing and enjoy a unique experience. A scenery I’d like to see from my window every morning! September 29, 2010, 1:51 pm, "Landscape, monument". 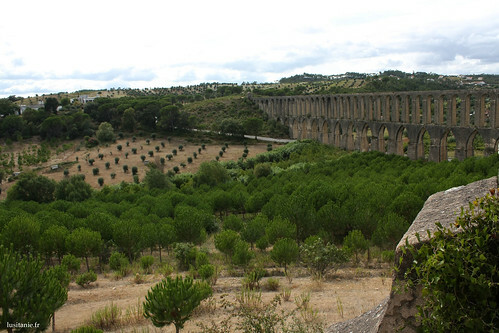 We visited the aqueduct while touring Portugal many years ago. It was one of the highlights of our trip. We have some beautiful photos. We loved Portugal: Lisbon/Torre de Belem, Sintra, Batalha, Obidos, Fatima and my favorite Alcobaca. What an amazing country! I enjoyed your post.!! 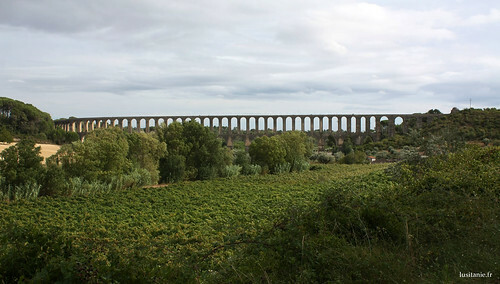 We mistakenly thought the aqueduct was Roman. Portugal Discovery, September 29, 2010. Portuguese version : Descobrir Portugal. French version : Lusitanie.fr.